Last week I discussed the GOP Convention where fear and terror was the main topic. 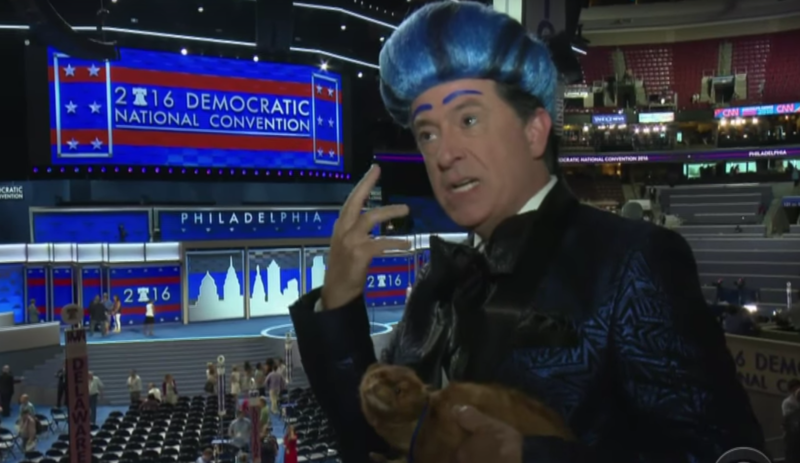 A big contrast with the convention of the Democrats. Great speakers like Michelle and Barack Obama delivered an optimistic progressive message and they clarified how much they distrust and fear Trump. Michelle Obama made clear that you can’t trust a man with the nuclear launch codes that’s so tempered and full of anger like Donald Trump. And Obama showed how much faith he has in the very experienced and passionate Hillary Clinton, who started this convention with a pretty big image problem. 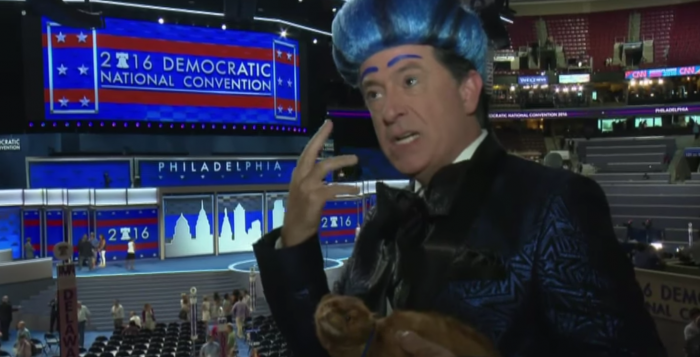 Last week Stephen Colbert visited the GOP Convention in his ‘Hungry for Power Games’, now it was time for the Democrats. In his show a Hillary cartoon answered questions from the Republicans.